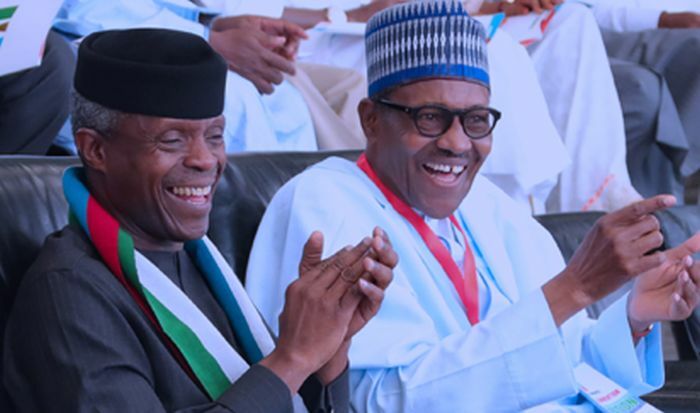 The Peoples Democratic Party, PDP, Lagos State chapter, has alleged that the President Muhammadu Buhari-led All Progressives Congress, APC, the government was buying votes ahead of the 2019 election. The PDP described the N10,000 Trader Moni as an inducement. In a statement on Wednesday by its Publicity Secretary, Taofik Gani, PDP accused the Vice-President Yemi Osinbajo of going round the country, with his recent being a visit to some markets in Lagos, doling out N10,000 cash to traders. It also described Osinbajo’s visit to Afrika Shrine as “an obvious manifestation of desperation and jitters”. “We have no doubt that Lagosians will not vote the APC in 2019,” the statement read adding that traders could collect the money but they should vote their conscience. PDP also reacted to explanation by the Minister of Power, Works and Housing, Babatunde Fashola, that he was not funding Buhari’s re-election. The PDP alleged that Buhari gave Fashola three ministerial portfolios because the former Lagos governor funded APC presidential campaign in 2015. “This is one reason the President put Fashola, a lawyer, in charge of three hurriedly harmonised engineering ministries. “No wonder the three sectors he is in charge of have recorded very abysmal performances,” the party fumed.